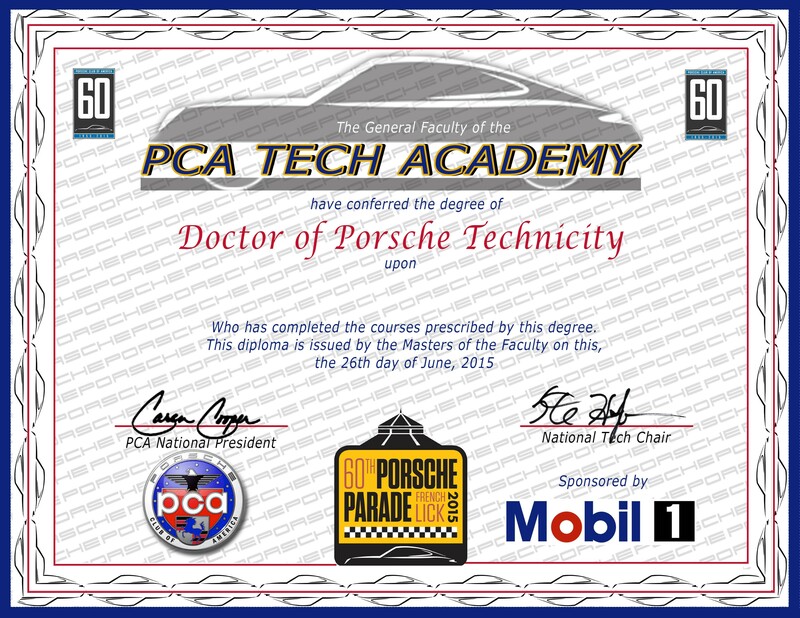 Two Sessions starts you off with a "Bachelors of Porsche Technicity"
Four Sessions earns a "Masters of Porsche Technicity"
This year's Tech Academy sponsor is Mobil 1. Plus the Tech Committee members will be available to answer one on one questions during the entire event. If they are not presenting, we will have a special area where they will be located and you can feel free to pick their brains and ask them questions. Multiple "Classrooms" will be going on simultaneously and each speaker will present twice to allow attendees to enjoy the entire experience. Plus we will have a special t-shirt made up to commemorate the event. Light snacks and water will be available.